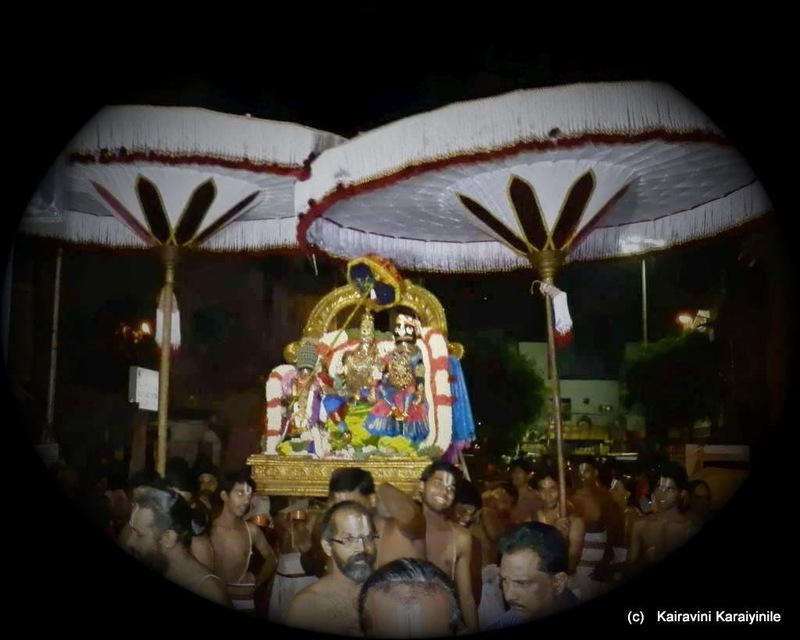 ….. and it culminates with ‘Sri Rama Pattabisheka Mahothsavam’ - the coronation ceremony of Lord Srirama, performed on the majestic scale - Rama, the foremost among men, accompanied by sounds of conches buzzing in the ears and sounds of kettle-drums, proceeded to the city of Ayodhya, having a series of palaces. Vasishta, Vamadeva, Kashyapa, Katyayana, Suyajna, Gautama and Vijaya consecrated Rama the Lion among men, with clear and fragrant water, as the eight Vasus (Ashta vasukkal). At the request of Bharata to take back the kingdom of Ayodhya, Rama accepts the offer and sits on a seat. 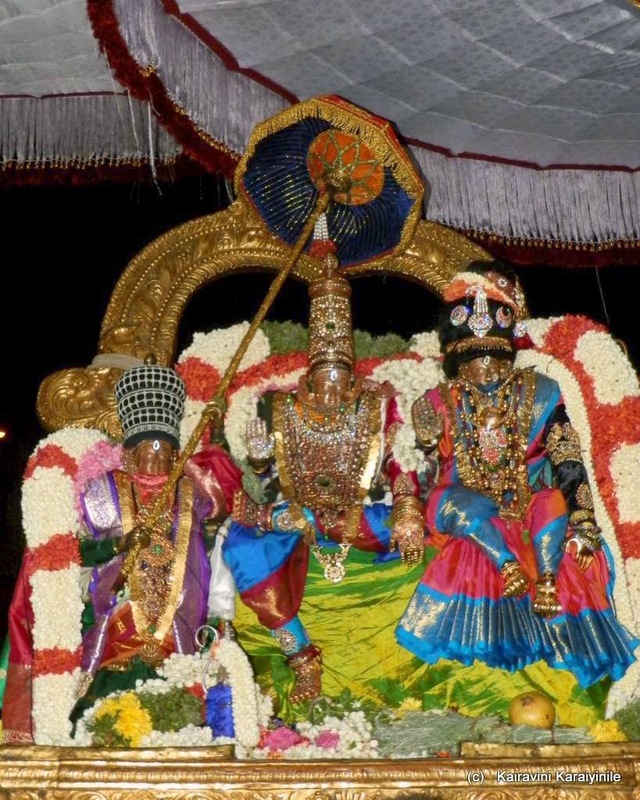 Bharata and Rama take their bath and get adorned for the occasion. Rama, mounting on an excellent chariot, sallies forth on a procession in the city accompanied by Bharata, Shatrughna, Lakshmana and Vibhishana. Nine thousand elephants follow the procession, with Sugreeva and other monkeys mounted on them. The citizens of Ayodhya host flags on every house. Rama returns to his paternal palace in Ayodhya. 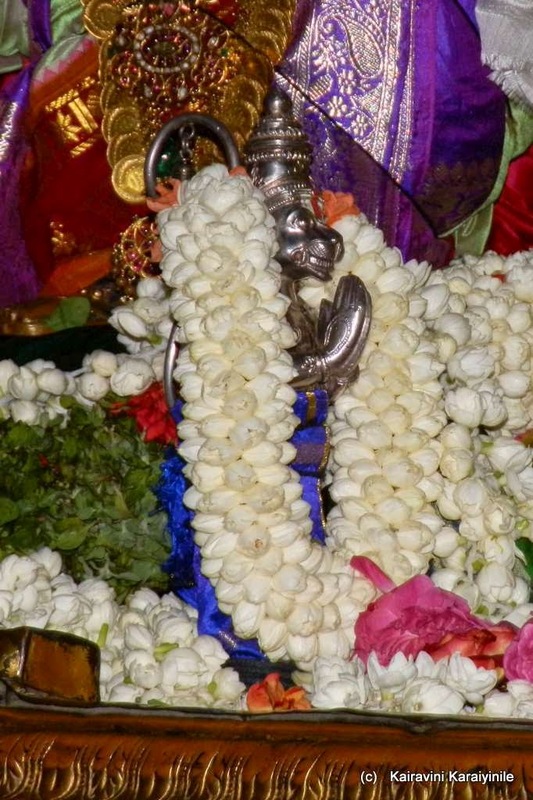 Pleasant things give happiness to everyone and there cannot be more pleasant sight than that of Sri Rama Pattabishekam ~ the eternal state of bliss- the most complete picture of happiness to everyone in the Kingdom. Kosala Kingdom was replete with happiness. The only trouble was that no body could donate ~ for the simple reason that there were none to seek and beget things from others. People lived in such a perfect harmony that there was no fight and there was no opportunity to display valour ~ the subjects were well educated and lived life full of honour… its capital which had no wars was known as ‘Ayodhya’. In that beautiful ceremony, the most benevolent Sri Rama adorned the Crown which was worn earlier by Manu, the emperor- a crown studded with precious jewels, fashioned by Brahma, the great souled VAsishta and other knowledgeable priests officiating at the Coronation. மங்கல கீதம் பாட, மறை ஒலி முழங்க, வல்வாய்ச் சங்கு இனம் குமுற, பாண்டில் தண்ணுமை ஒலிப்ப, தாஇல் பொங்கு பல்லியங்கள் ஆர்ப்ப, பூமழை பொழிய, விண்ணோர், எங்கள் நாயகனை வெவ்வேறு எதிர்ந்து, அபிடேகம் செய்தார். Mere chanting of the name ‘Sree Rama’ would provide everything to us ~ he is the greatest benefactor ~ the Maryadha Purush ~ the greatest epitome of all virtues Lord Rama. 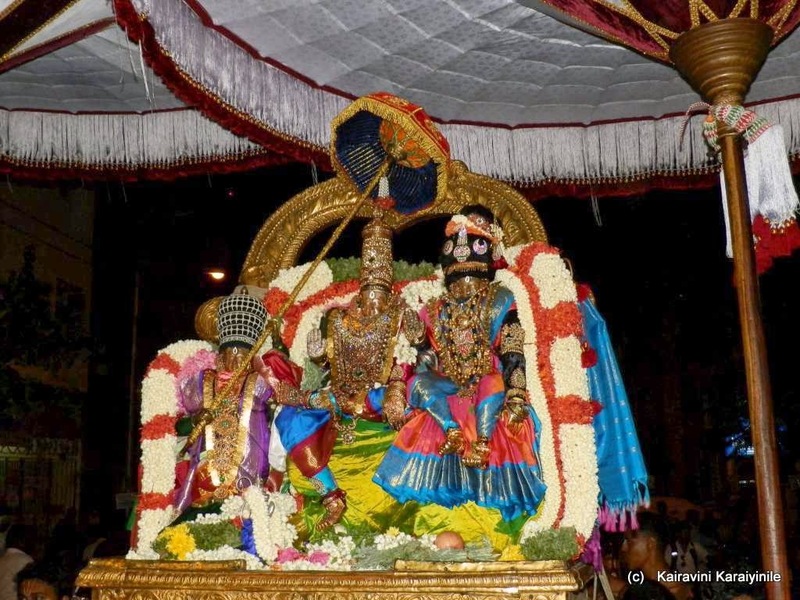 At Thiruvallikkeni, Thirumangaimannan describes Rama as one with his family of Barathan, Satrugnan, Ilakkuvan and Mythili – the one who destroyed Ravana [Ravananthakan] – the most cheerful and calm Rama blessing all his devotees.